Join Today To Add Your Name to Our “Thank You” Slide. An Athena membership will not only save you money on every visit to the theater, but also help support our educational programs and diverse film selection. 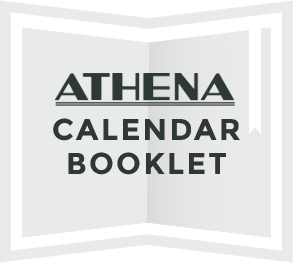 Your gift can help keep the Athena thriving for years to come. Our patrons love the films we show and the fact that they can see them in downtown Athens. What many people don’t realize is that the theater relies on support from donations and memberships to continue to bring in this exceptional and exciting programming. Please help us ensure that Athens retains an alternative to the corporate, multiplex experience. Support your local art house theater today. The proceeds from your membership assist us in expanding our programming and reaching out to the community. The Athena is a mission-based cinema and has been showing film continuously since it opened in 1915. We thank all the film lovers who support our goal to be the finest premiere art house cinema in the region. In addition to the pleasure of knowing you are contributing to the continued success of your favorite non-profit art house cinema, these are some additional benefits you will enjoy as a member of the Athena. Free small Shagbark popcorn or soda on every visit. *Arrangements for reservations must be made in advance. In conjunction with the Art House Visiting Members Program, the Athena Cinema allows members from participating theaters to visit any other participating theater and see a regularly-scheduled film for the basic member discount. A list of participating theaters is here. Next time you’re traveling, go to a participating theater for the same benefits you enjoy at home!